Home > News > Data Physics now offers accelerometer calibration! Data Physics now offers accelerometer calibration! 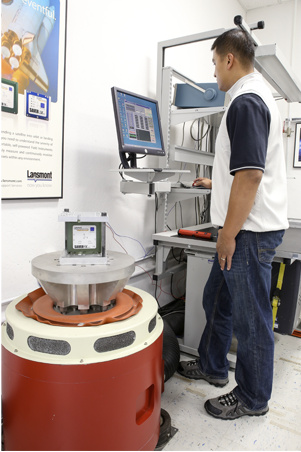 If you have a Data Physics Vibration Test System or related analyzers and controllers, we can help you maintain the highest levels of accuracy – through expert accelerometer calibration. As you may have heard, Data Physics, Team and Lansmont have joined together to form the NVTGroup. As a result, our combined strength allows us to provide an expanded range of solutions. Our newest service offering is provided on behalf of fellow NVT Group member company, Lansmont. Their calibration lab, located in Monterey, California, is a state-of-the-art facility delivering ANAB Accredited ISO/IEC 17025:2005 and ANSI/NCSL Z540-1-1994 professional calibration services. To learn more about how we keep accelerometers performing to spec, fill out a form by CLICKING HERE.